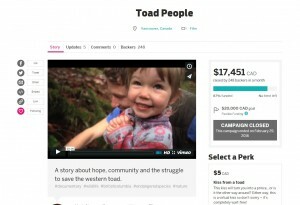 The crowdfunding campaign for our new documentary, Toad People, has now come to an end. 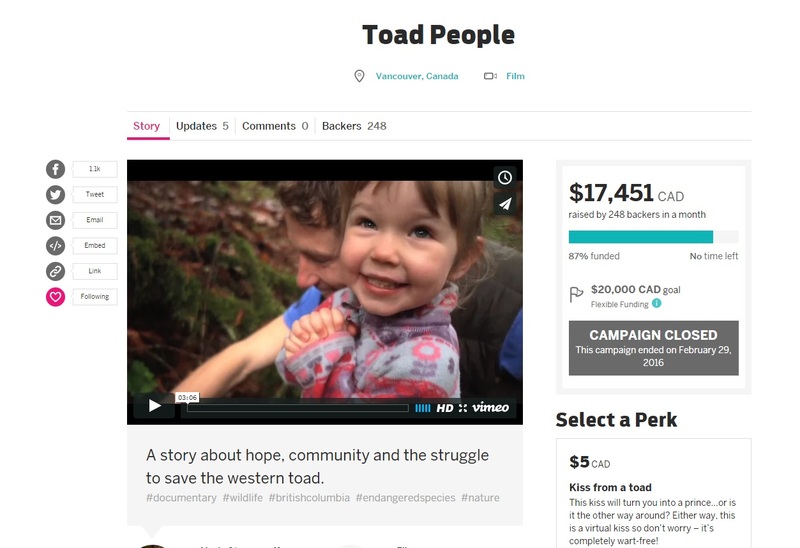 With the help of the 248 contributors who supported our project, we raised a whopping $17,451 to complete the film and take it on tour across British Columbia! We are thrilled with the result – thank you to everyone who participated and helped us spread the word!